"Man, THIS is living the good life!" It's been a while, so why not post about two recent issues that have really got my goat. Maybe it's the end of summer, maybe I'm off my magnesium supplements. Either way its time for a good vent! Now you may ask, "I thought it was illegal to do so in the city of Toronto?" and you'd be right, but I'd have to ask the follow up question, "Why are local municipalities outside the city still heartless enough to neglect passing such a bylaw?" Let's look at our friendly neighbours in Richmond Hill. I was recently contacted by animal advocate Kasey Dunn who has made it a priority to educate a clearly uninformed city council on the pure hell that puppy mill dogs go through, living in and traveling from the mill itself all the way to being crammed into a cell in a store. 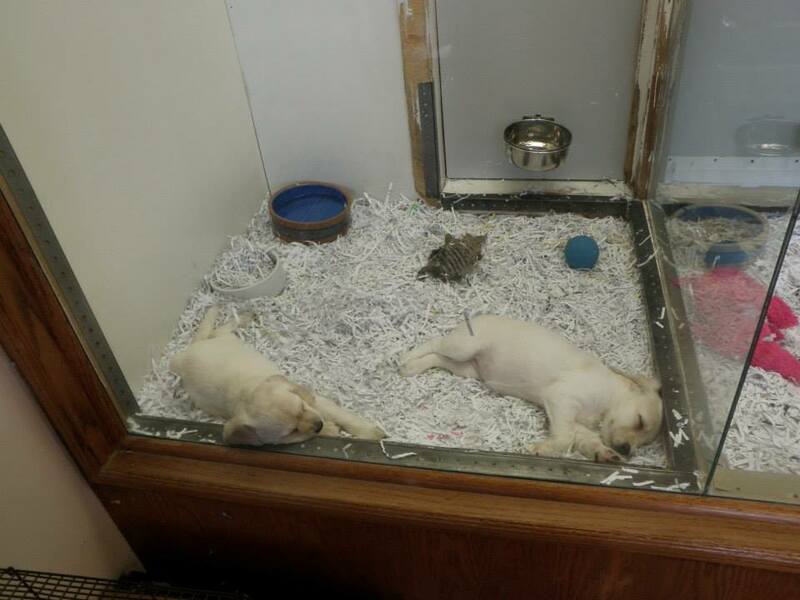 Ms. Dunn began with focus on one particular store that acquires dogs from Quebec, the puppy mill capital of Canada. There is no point naming the store though I will say I found it extremely disheartening...scratch that.....DISGUSTING...that the store's website homepage doesn't list hours, in-store promotions, or health advice, rather a list of dozens of dogs available for purchase. You know, those dogs that look super cute in pictures that show only their faces and not the feces-filled 2 X 4 prisons they are forced into. Surely any pet sore owner who truly cares about animal welfare must see that selling puppies for profit rather than encouraging adoption is not only increasingly becoming a thing of the past, but is tantamount to abuse? I'm just saying, stores here in the city have promoted adoption for a little over two years and I have a feeling the store owners, not to mention the dogs, sleep better at night. Sign this petition. That was easy wasn't it? Write to Regional Councillor Deb Shulte deb.schulte@vaughan.ca. In a recent article the Councillor stated, “I’m not hearing a lot. We need to be sure that what we hear is representative of Vaughan.” Well then let's make sure she hears a lot and acts on behalf of those who have no voice. Best of luck to Kasey who will soon be going before city council, and to city council you need no luck....one big collective heart should do. I have written about this organization over 100 times and have had replies of thanks that well exceed that number. There have however been two individuals who have messaged me requesting that I lay off the OSPCA. To them I say this : "No." You see the OSPCA offers a never ending source ripe for criticism. A bottomless pit if you will. The latest? The OSPCA's investigation into Circle H Ranch. Over a year ago and acting on received complaints, the organization seized several horses, dogs, and cats from the Rebecca Hurley, owner of Circle H Ranch. I have opened a dialogue with Ms. Hurley and can only go by what she tells me versus the charges laid upon her. Ms. Hurley maintains that her horses were not neglected and that she makes no profit off them. She has stated they are her family and she uses them to provide sleigh rides, pony rides, & horseback riding, often free of charge to the less fortunate. The OSPCA obviously felt they were being abused. Since I have written in detail on the OSPCA's lack of training for enforcement agents, lack of transparency to Ontarians, what many consider unwarranted targeting, bullying and extortion of private citizens (Ms. Hurley's bill currently sits in excess of $135 000), I will not repeat those opinions again. Besides it's September and school's back in session, so do some homework for goodness sake! What I do find infuriating however, is cherry-picking when it comes to the safety and welfare of animals. The OSPCA clearly saw what it considered neglect and abuse at Circle H Ranch. So what did it do? It seized SOME of the animals, all the while I sit here and wait for the punchline. Let's put this into perspective. Child services receives a complaint. Child services investigates and discovers what it considers to be clear abuse of some of the children in a home. Child services removes some of the children and through that action basically tells the others, "We'll take good care of these kids and to the rest of you, good luck surviving in this abusive household. Ciao!" Some might think that by my standard the OSPCA will never be able to do anything right. That's not so as I've sung the organization's praises the few and far between times I see it on a positive path, though if you ask me if I foresee any significant improvements in the near future my answer remains constant for now : "No."